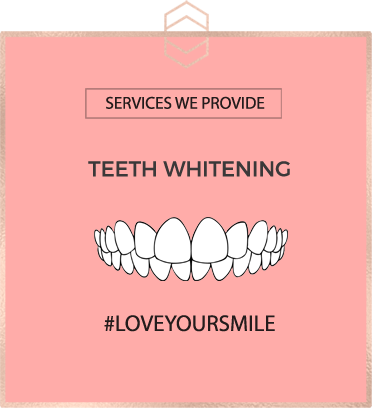 Our aim is to transform the smile of our patients. 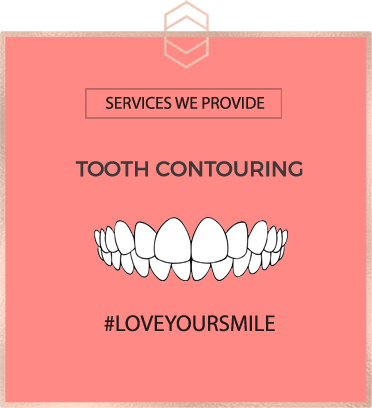 Through our cosmetic dentistry procedures, we create beautiful, bright, natural-looking smiles. It is amazing what a difference a beautiful smile can make to your overall confidence and self-esteem. 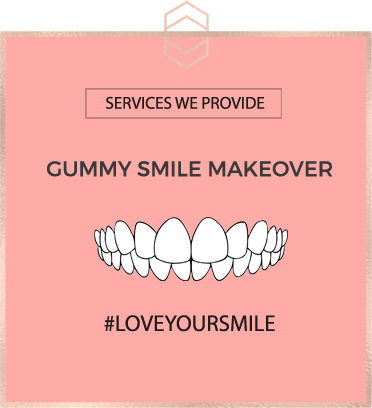 We dedicate ourselves to adjusting and enhancing your smile. We do this by listening to exactly what you require from your smile transformation and by making sure that all our patients make the decision that best benefits their dental health. We continue to go above and beyond the expectations of our patients, something all our staff take immense pride in. This is achieved through a combination of first-class customer service and the exceptional skills of our team of dentists. The atmosphere at Harley St Smile is reflective of the creativity and ability our of dentists as well as our scrupulous attention to every element of your treatment. Our team consistently provides our patients with the latest state-of-the-art procedures, and all within a calming, professional environment. We believe that improving your smile should have a positive impact on your overall appearance and confidence, just take a look at some of the feedback we have received on our Happy Clients page. All of our team are welcoming and friendly and your visit to us will be the most stress-free dental experience you could imagine. To find out more about each team member just click on their biographies below. Since qualifying from Guys hospital in 1988, for over 25 years Dr Maurice Johannes has been in the forefront of cosmetic dentistry in the UK. 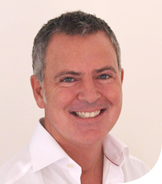 He is the principal and founder of The Harley Street Smile Clinic. He was one of the original pioneers and innovators that brought cosmetic dentistry to the UK. He developed ‘The Original Cosmetic Smile Studio’; the principle which has since been followed and copied by many other dentists as a basis to providing cosmetic dentistry in the UK. He was one of the first UK members of the American Academy of Cosmetic Dentistry, the internationally recognised authority dedicated to the advancement of cosmetic dentistry. He has fitted over 30000 veneers, probably more than anyone else in the UK. His experience at creating bespoke beautiful smiles is unrivalled, and his work has featured many times on National TV, Sky TV, on radio and in numerous glossy magazines, Marie Claire, Red, Vogue, to name a few. Maurice has created amazing smiles for many stars in the film and music industry, Olympians, Premier League footballers and their wives and numerous reality TV personalities. He has worked at the leading cosmetic dental centres in the UK and has been involved in the training of dentists in the art of cosmetic dentistry. With his passion, experience and clinical skills a visit to The Harley Street Smile Clinic will not only be a stress free experience, but hopefully an unrivalled one. Having established an early interest in cosmetic dentistry she continued her development in this specialist area by regularly attending courses and workshops in America, where she gained her Masters Certificate in Advanced Aesthetic Dentistry. For the past 9 years she has worked as a leading cosmetic dentist in London with her main focus being on cosmetic dentistry, aesthetic dentistry, smile design, veneers and crown and bridgework. She also undertakes some cosmetic orthodontics and is an approved provider of Simply Smile braces. In 2012 Dr Martin became the first Irish Woman to be accredited by the British Academy of Cosmetic Dentistry (BACD), one of only 16 dentists to have achieved this accolade to date. 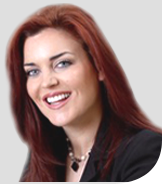 She recently became recognised as an examiner for the accreditation of cosmetic dentists as set by BACD. She is dedicated to providing the highest level of care to her patients which has lead her to undertake innumerable post graduate courses both in the UK and internationally. Dr Martin was recently awarded winner of ‘Best Smile Makeover’ at the My face My body awards ceremony in November 2013 .These awards are voted on by the consumer and feature a panel of experts that are all leaders within the health and beauty industry. Her work has featured nationally in the press and most recently appeared in The Times, The Sun and Company magazine. 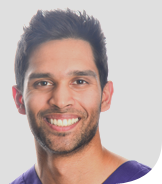 Dr Sahil Patel qualified from the University of Bristol Dental Hospital, achieving merits in Restorative dentistry, Orthodontics, and Paediatrics. After enjoying a year in general practice in Wadebridge, Cornwall, he returned to London to pursue his interest in aesthetic dentistry. This stemmed from dental training, where he developed a passion for cosmetic improvement and orthodontics, which he continues to dedicate extensive postgraduate education. He was recently shortlisted for awards from the British Academy of Cosmetic Dentistry (BACD), the Aesthetic Dentistry Awards 2017, as well as winning the W&H Clinical Case prize from the British Society for Restorative Dentistry. These awards are judged by national leaders across cosmetic and hospital based dentistry. He now serves on the BACD Membership Committee, which allows him to maintain a progressive approach to dentistry, such that he can be sure to explore all the options to give you the smile you desire. Outside of dentistry, Sahil has committed himself to Performing Arts since the age of 10. He has choreographed and performed for various organisations including the BBC Proms and now continues to train in several dance styles. Through the Royal Naval Reserves, he has also appreciated an introduction into scuba diving, skydiving, and cross-country skiing. Dr Sahil approaches dentistry with a fervour and skill that allows him not only to provide excellent solutions but ones that are personalised to your goals. 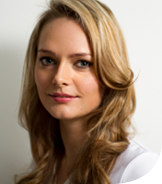 Jill has worked in cosmetic dentistry for more than 20 years, and her day-to-day role is primarily ensuring that the Harley Street Smile Clinic keeps its first-class reputation. Jill helps our clients by listening and building a relationship. Part of this does involve some straight talking, so she is therefore candid about what we can achieve. You are welcome to call or email Jill with pictures of your teeth and she’ll happily talk you through treatment options available and be able to give you a good ballpark figure for the relevant treatment for you. Jill has veneers herself so is perfectly placed to talk to you about what to expect throughout the experience. 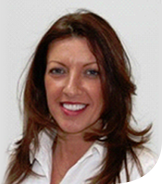 Katherine has been nursing with Maurice for 12 years now and has a vast amount of experience in cosmetic dentistry, as well as in-depth knowledge of the clinical side of treatments. In her 15 years of experience, Katherine has gained many more skills, and as such has become the senior dental nurse, managing and training the nurses within the practice, providing invaluable support. “Dr Gill, thank you so so much for my Mini Smile Makeover treatment – I’m so happy with the results! It was so quick and easy and has made such a great difference to my teeth. It’s made me feel great about them now”. Should you wish to make an appointment or to see how treatment at Harley St Smile could transform your smile enter your details below and ideally send us a photo of your teeth with details of what it is you would like to change about them. We will then get in touch to talk through the treatments that we feel would be best for you. We will also discuss the costs of the services we provide and set you up an appointment with the most appropriate person to the treatment you require.